4 1/2 tablespoons honeyCook carrots till soft. Mash and mix with honey. Apply gently to the skin, wait 10 minutes. Rinse off with cool water. Did You Know? Carrots are very high in vitamin A and a source of vitamin C, folacin and potassium. A good fortifier of skin cells. Mash bananas with a spoon. Let is not be too smooth. Let the mashed mixture be lumpy. Add honey if need be. 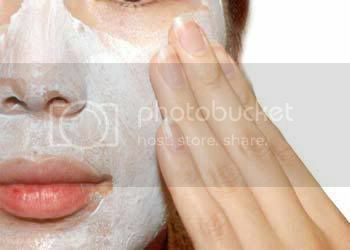 Apply and keep on for 10 minutes. Rinse with cool water. Did You Know? Bananas are a good source of ascorbic acid (Vit. C), Vitamin B 6 , and potassium and honey is primarily composed of fructose, glucose and water. It also contains other sugars as well trace enzymes, minerals, vitamins and amino acids. They make excellent moisturizers. 1 tbs oatmealCook peach and mash in the soft insides into the honey and oatmeal mixture. Apply and keep on for 10 minutes. Rinse with cool water. Did You Know? Peaches are great exfoliates and remove dead skin cells. Peaches speed up cell renewal, leading to healthier skin tone. The AHAs in these fruits help soften wrinkles, sun spots, age spots, blemishes and can even unclog pores. Mix the grated apple and mix with honey to make a mask. Smooth over skin and rinse off with cool water after ten minutes. 0 Response to " Homemade Facial Mask"